Ladies and Gentlemen, we have been waiting since October's oral argument for the Supreme Court to actually make a ruling on the merits as to whether or not affirmative action in college admissions is Constitutional and today we are no closer to that ruling than we were 9 months ago. In a 7 to 1 majority opinion written by the "swing" Justice Anthony Kennedy, the Supreme Court ruled that the 5th Circuit Court of Appeals ("5th Circuit") did not apply the correct test when it decided to uphold the University of Texas' use of affirmative action in the case Fisher v. University of Texas (click HERE and HERE for more background on the case). Accordingly, the Supreme Court has remanded the case back to the 5th Circuit with specific instructions on how to apply the test properly. 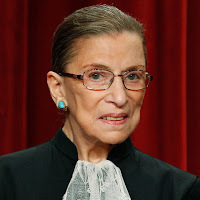 The lone dissent written by Justice Ruth Bader Ginsburg argues that the 5th Circuit actually did apply the proper test when deciding this case, therefore there's no need for the Supreme Court to kick this case back down to the 5th Circuit. 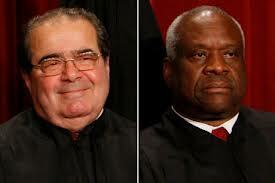 The infamous test that the Justices were talking about here is known as "Strict Scrutiny." It is a test that the Supreme Court first came up with in 1938 in what most law students will certainly agree is the most memorable footnote from all 3 years of law school: US v. Carolene Products' infamous "footnote 4". In a nutshell, what footnote 4 said was that the Court should apply heightened levels of scrutiny whenever government actions or laws affect underrepresented minorities. The Strict Scrutiny test was first used in the affirmative action context in the 1978 landmark case Regents of University of California v. Bakke which ruled that quotas do not pass Strict Scrutiny. In plain English, what this means is that state universities and colleges can use race as "a" factor (among many factors) in college admissions in order to achieve a diverse student body because achieving a diverse student body is accepted as a "compelling government interest." However, even though the Supreme Court accepts that achieving a diverse student body is a good goal for a state to have, the state's use of race in achieving that goal must be "narrowly tailored," meaning that it cannot give too much weight to the fact that an applicant is a minority. Quotas and programs which award significant points for being a minority are not "narrowly tailored." Lastly, the state must show that the affirmative action program that it came up with is the "least restrictive means" for achieving diversity. In other words, the state must show that there is no better way for the university to increase diversity, such as a method that would increase diversity that does not involve the consideration of race. If a school can pass those 3 elements then their affirmative action program passes Strict Scrutiny. It is a very tough test to pass and most schools do not make it. The 5th Circuit ruled that the University of Texas' affirmative action program passed all 3 hurdles mentioned above for the Strict Scrutiny test. Justice Anthony Kennedy (no relation to the political family) argued in today's 13-page majority opinion that the 5th Circuit misapplied the Strict Scrutiny test because it (the 5th Circuit) gave too much deference to the University. The Courts are supposed to give deference to the states on the first prong of the Strict Scrutiny test mentioned up above (compelling government interest). In other words, if a state decides that it wants to set a goal to increase diversity in its schools, then the federal courts are suppose to give that decision deference in determining whether or not such a goal is a "compelling government interest." To be clear, the Supreme Court has consistently held that achieving a racially diverse classroom is a "compelling government interest" for a state to have. 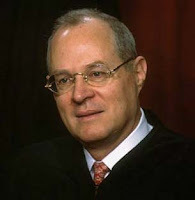 However, according to Justice Kennedy that is the only part of the Strict Scrutiny test where the state is supposed to receive deference from the Court. When it comes to proving the "narrowly tailored" and "least restrictive means" prongs of the Strict Scrutiny test, Kennedy argued that the 5th Circuit should not have given the state of Texas any deference whatsoever. It is up to the state to prove that their method for achieving racial diversity is both "narrowly tailored" and the "least restrictive means" of achieving that goal. Thus, he ruled that the case should be re-decided by the 5th Circuit using the proper Strict Scrutiny test as he has described it in today's ruling. Accordingly, I would not return this case for a second look. As the thorough opinions below [at the 5th Circuit and at the district court] show, the University's admissions policy flexibly considers race only as a "factor of a factor of a factor of a factor" in the calculus; followed a yearlong review through which the University reached the reasonable, good faith judgment that supposedly race-neutral initiatives were insufficient to achieve, in appropriate measure, the educational benefits of student-body diversity; and is subject to periodic review to ensure that the consideration of race remains necessary and proper to achieve the University's educational objectives. As should be obvious, there is nothing "pressing" or "necessary" about obtaining whatever educational benefits may flow from racial diversity...Unfortunately for the University [of Texas], the educational benefits flowing from student body diversity -- assuming they exist -- hardly qualify as a compelling state interest. Indeed, the argument that educational benefits justify racial discrimination was advanced in support of racial segregation in the 1950's, but emphatically rejected by this Court. And just as the alleged educational benefits of segregation were insufficient to justify racial discrimination then, the alleged educational benefits of diversity cannot justify racial discrimination today. In short, this fight is not over and we will have to wait and see how the 5th Circuit decides this case now that they have today's decision from the Court.